Join your fellow lawyers in helping children from Englewood become a better readers. 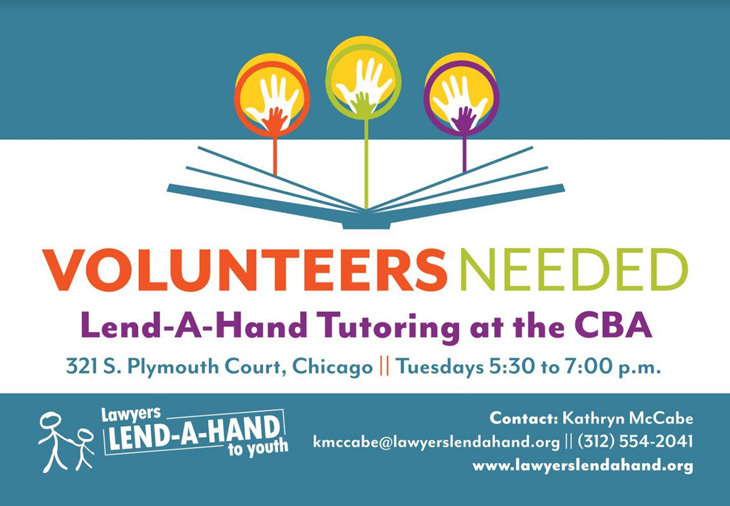 Lend-A-Hand Tutoring at the CBA is seeking volunteer tutors for its one-to-one tutoring program, which meets on Tuesdays from 5:30 to 7:00 p.m. at the Chicago Bar Association, 321 S. Plymouth Court in Chicago. Orientations will be on September 4 and 11. The program is sponsored by Lawyers Lend-A-Hand to Youth.